Attorney General Eric Holder sat down with ABC News' Pierre Thomas for an interview that will air Sunday on "This Week." Here are four things you might not know about Holder. Holder was born in New York City and went to Stuyvesant High School. He earned an undergraduate degree in American history from Columbia University and later a law degree from Columbia Law School. He is married to Dr. Sharon Malone, an obstetrician-gynecologist, and they have three children. Malone's nephew Jason played professional basketball. Holder is the 82nd Attorney General of the United States and the first African-American to hold the position. He was nominated by President Barack Obama and took office on February 3, 2009. Holder was also the first African-American to hold the position of Deputy Attorney General during the Clinton administration. He was unanimously confirmed for that post by the Senate. 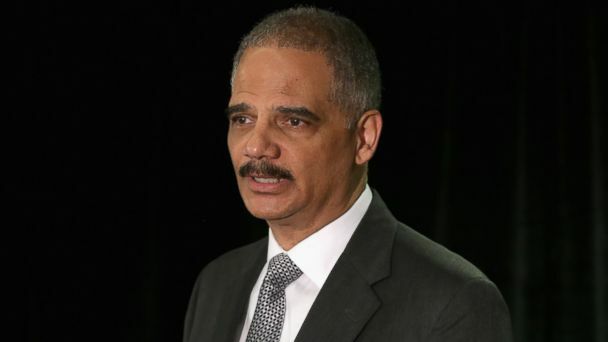 Before being confirmed as President Obama's Attorney General, Holder was a partner at the law firm Covington and Burling LLP. Holder - who is the only member of the cabinet to be held in contempt of Congress - has had an especially prickly relationship with some House Republicans. The animosity between the Attorney General and House GOP members has spilled into the open more than once, including Holder once describing conduct by Rep. Darrell Issa during a May 2013 Judiciary Committee hearing as "shameful" and memorably sparring with Rep. Louie Gohmert at a April 2014 hearing. Despite his seemingly tense relationship with Congressional Republicans, some might be surprised to know Holder actually was nominated by President Reagan in 1988 to become an Associate Judge of the Superior Court of the District of Columbia. Like "This Week" on Facebook here . You can also follow the show on Twitter here . Go here to find out when "This Week" is on in your area.